Desert Point's Tamara bred to Desert Point's Jack. Jack is everything that we are striving for in our breeding program. No dog living has ever had a better more loving temperament. He loves all people, and get's along with all dogs. Great hunting dog, and friend. Great natural retrieve, point, and back. Adapts great to hunting as well as home situations. Wonderful water work. David is everything that his half brother Jack is. They are so much alike considering that Jack is black and David is liver. A testament to the pre potency of their mother LACEY. David is not quite the saint around other dogs as Jack is, but they are very close. David as Jack is a once in a life time dog. They are pillars of our breeding program. Tamara was our pick of the litter from a breeding with David. Tamara is a super loving and extremely smart girl. She wants nothing more to be around people and loving them. 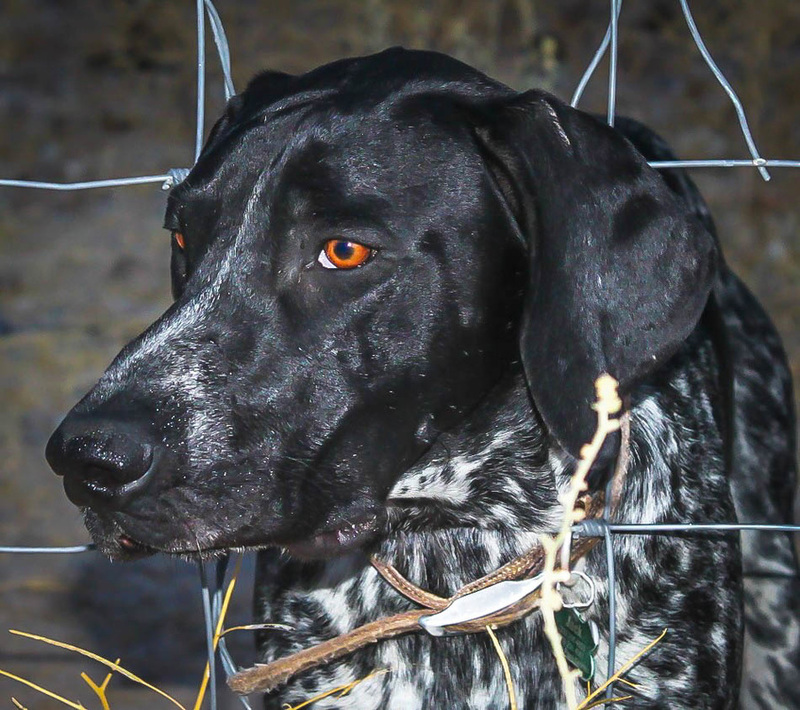 She is a very good versatile hunting and family dog. 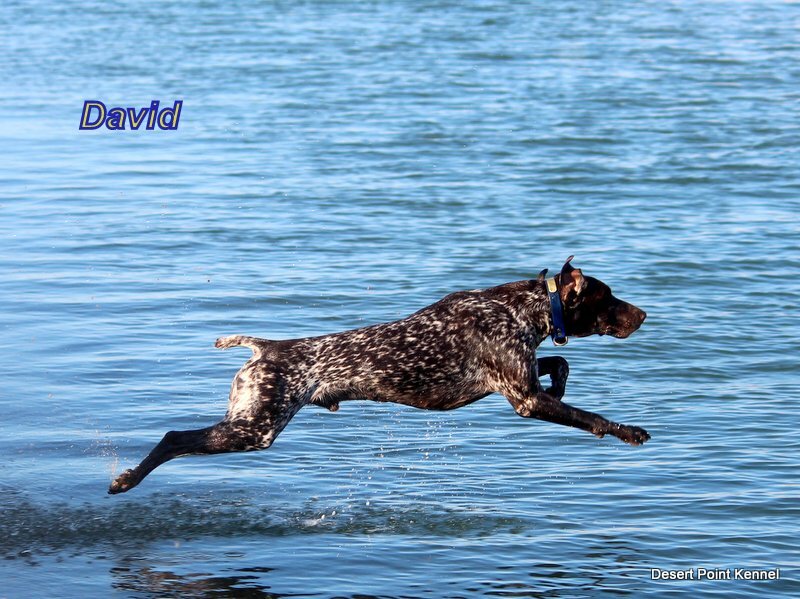 Good water work, natural retrieve, good point and back, and hunts for you and with you as a team player. She excels as a loving family member. 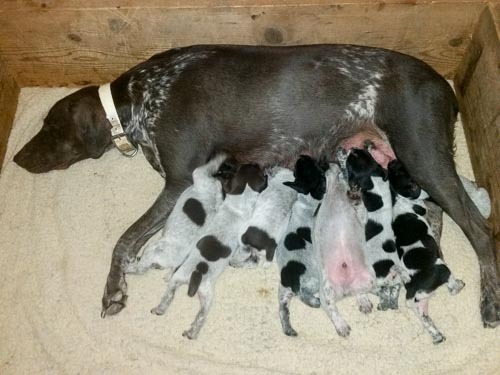 These pups will be outstanding.